Transform your barren land or messy lawn into a stunning landscape. Our landscape installation services can make a beautiful metamorphosis happen on a completely undesirable piece of land. 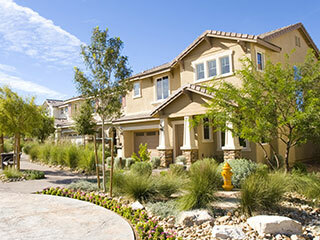 If you are not a landscape installation expert, it is better to leave the job to the professionals. There is a very big difference between a DIY landscape and a professionally installed landscape. Doing it on your own may be fun at first and a cost-saving endeavor, but in reality, that is a stressful job which could end up into double or triple spending as compared to hiring a pro. But don't just hire any so-called landscape installation pros out there. Choose a company with years of experience and one that has complete licenses and insurances. You also deserve a company with more than enough manpower and immediate access to the best softscaping and hardscaping materials in North Carolina. That company must also possess a complete set of basic tools as well as specialized heavy equipment. Seasons Unlimited Inc. has all these great qualities and more. 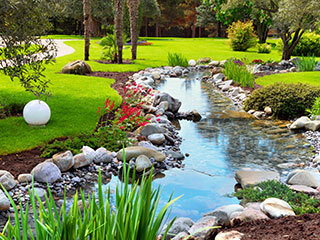 We are proud to be the premier landscape installation company in North Carolina. And we have achieved that status because customer satisfaction is always on our primary list. We believe that good business will always follow when the customer is satisfied. One of our qualities that keep us on top of the competition is our excellent knowledge, skills, and experience in handling plants. We have our own nursery. Our team of experts can design and do landscape installation that will be friendly to your chosen plants. Our clients can choose from the various plants in our nursery. We have different kinds of bushes that can provide accent to a landscape. We even have flowers of varying sizes, shapes and colors to add a touch of style to the outdoors. Moreover, trees can add shade to a wide outdoor area and at the same time serve as windbreaks. Our creative gardeners can mix and match plants that will compliment your own sense of style. Meanwhile, our expert builders can install a dependable irrigation system to keep the plants healthy. Landscapes will never be complete without the hardscape. This is composed of structures that add appeal to a landscape such as fences, driveways, walkways, stepping stones, retaining walls, wooden pergolas or gazebos and patios. Our company is not only an expert on plants but also an experienced and established contractor who can definitely do the landscape installation creatively and wisely. Aside from our expertise in installing hardscape and softscape, we are also expert on light-scaping. This is a creative way of combining and installing lights that will flatter the beautiful landscape at night. Clearly, there is nothing more to ask for with our line of services. Seasons Unlimited, Inc. is a one-stop contractor for all landscaping needs. Best of all, we warrant our every project so our clients will have peace of mind. No matter where you are in North Carolina, we are just a call or an email away. Tell us all about your dreams, and we'll help you make that a reality with our landscape installation service.